The Melbourne Airport Rail Link project has received a fresh infusion of funds from a private consortium of investors. The AirRail Melbourne consortium comprising of investors of superannuation fund IFM Investors, Melbourne Airport, Metro Trains Australia and Southern Cross Station, will contribute $5 billion to the project to match the amounts pledged by the Victorian and federal governments, taking the total funding for the Airport Rail Link to $15 billion. The $112 billion fund manager, IFM also has a stake in Southern Cross Station and Melbourne Airport. The Airport Rail Link will connect Melbourne Airport in Tullamarine with Southern Cross Station in Melbourne's CBD through a new 27km track via Sunshine. The 24-hour service will have a train running every 10 minutes during peak hours, streamlining airport access, removing up to 15,000 vehicles from Melbourne’s north and west regions each day, and benefitting regional Victorians by reducing travel time into the city. The $15 billion infrastructure project is also expected to maintain Melbourne’s liveability, given the increasing population in the city. The Victorian and federal governments are currently conducting a business case study due in 2019-20, and construction is expected to begin in 2020. 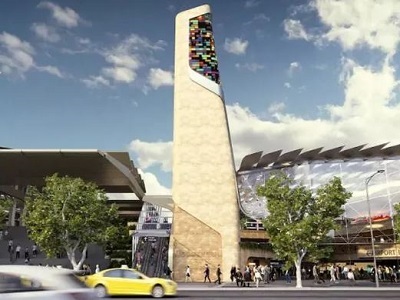 Additionally, the Victorian Government has announced the $150 million ‘Car Parks for Commuters Fund’, which will add about 11,000 new parking spaces at metropolitan and regional train stations across the state.